There are a many different options to give you a beautiful and white smile. What ever your desires, Dr. Nugent encourages you to schedule a cosmetic consultation. Dr. Nugent will listen to your concerns and present you various treatment options. One of the best options available in cosmetic dentistry is teeth whitening. This is also called teeth bleaching. It is simple, easy and very affordable. Another remarkable cosmetic service is porcelain veneers. Veneers are thin layer of porcelain that is bonded to your teeth. They allow Dr. Nugent to change the size, shape, color and orientation of your teeth. Get your dream smile! You owe it to yourself to find out what cosmetic options are available. Call our office at 713-941-8261 to schedule a cosmetic consultation. Cosmetic Dentist Michael Nugent serves the Pasadena, Deer Park, La Porte, League City, and Friendswood areas. Discover why so many people come from different cities to see Dr. Nugent. Still unsure about Cosmetic Dentistry? 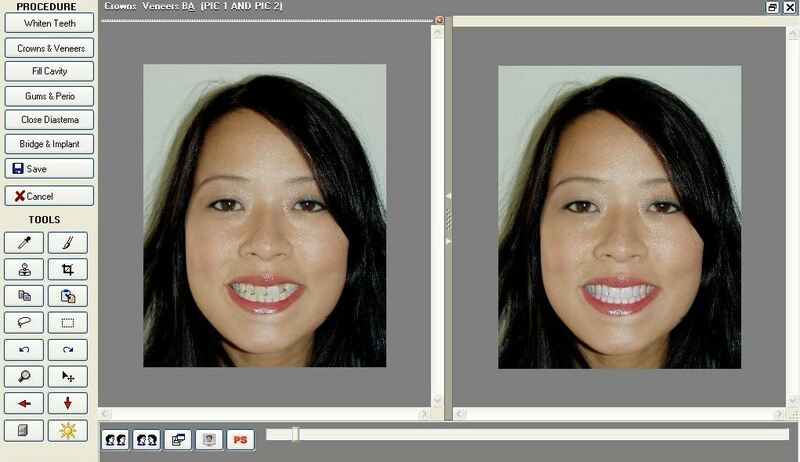 Let Dr. Nugent show you a digital after picture of your cosmetic dentistry work. Get a digital preview of your cosmetic dentistry. Dr. Nugent has been voted BEST PASADENA TEXAS DENTIST multiple times! Visit our amazing office at 3421 Burke Rd Ste A, Pasadena, Texas 77504.